*Note 1* – THIS NEEDS TO BE DONE BEFORE UPDATING TO ANDROID 2.2. THIS METHOD DOES NOT CURRENTLY WORK ON DROID X FROYO. *Warning* – Just a reminder that rooting VOIDS your warranty and could potentially do permanent damage to your device. This is not a recommended practice and you do so at your own risk. 2. Open it and tap the “Root :-)” button. 3. Your phone will now run through a series of commands. 4. When it finishes, it will tell you that you are rooted. 5. Reboot your phone and BAM! 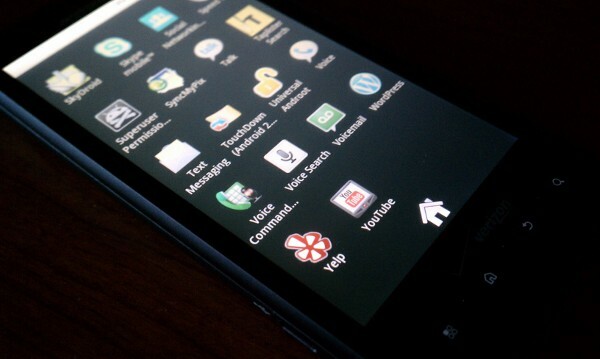 Rooted Droid X.
Unrooting and backup instructions plus Droid X 2.2 ROM on the way!